Labuan is an important financial center in Malaysia, and one of the top locations for offshore companies in the region. The procedure for opening a company in Malaysia in the region of Labuan is simpler than in the case of businesses registered elsewhere in the country. The registration can be completed in a period of seven working days, in the situation in which the investors have provided the required incorporation documents. One of the main advantages of setting up a company in the region of Labuan is that the local legislation does not require appointing a resident director, as there are no restrictions regarding his or her nationality, a rule which is also available for the company’s shareholders. Our team of consultants in company registration in Malaysia can advise on why Labuan should become a business destination for foreign investors. One of the ways of starting a business in this region is by setting up a Labuan international company. This type of legal entity does not have any restrictions on the nationality of its founders. It can be set up with 100% foreign ownership. Furthermore, the capital requirements for this business form are low, as the company may be set up with a minimum share capital of only $1. Also, this structure can be incorporated by a single shareholder, who may also act as a director. Our team of agents can offer more details on the commercial legislation applicable in Labuan. - simple incorporation requirements: this business structure is a simple one that only requires one director and one shareholder and they can be the same person. - low incorporation costs: the taxes and costs associated with setting up a company in Labuan and a residential address are low; as stated before, the minimum paid-up capital for the company needs to be only 1 USD. - low tax: the corporate income tax for a company in this special region is low and in some cases, companies are completely exempt from the profits tax; our Labuan offshore company agents detail the taxation principles below. - fast incorporation: the general incorporation of a Labuan company lasts seven days at the most and can be accomplished even if the foreign investors cannot be present in Labuan during the entire procedure. In order to open a company in Labuan, investors need to follow a few key procedures that are straightforward. One important feature is that they do not need to travel to Labuan or be in Malaysia at the time of the incorporation. One of our agents can handle the key steps on their behalf. The first step when opening a company in Labuan is providing a suitable business name. the entrepreneur is advised to propose three different names and submit them for an availability check. Once the name is approved, a suffix will be added to it (this can be “limited”, “ltd.”, “LLC” or others). When two or more shareholders found the company, the percentage of ownership between them will need to be established from the very beginning. Foreign investors who open a Labuan company will need to apply for a work visa. Once the visa is approved, the holder is allowed to reside either in Labuan or in Malaysia in cities in the west part of the country, such as Kuala Lumpur. This can be an important advantage, especially if the applicant decides to include dependents in his visa application (the spouse and minor children can be included on the dependent visa). The visa is valid for two years and will allow for multiple entries. One of our agents who specialize in company formation in Labuan can help investors prepare the documents needed for opening an International Company. Moreover, we can help entrepreneurs handle the visa formalities and offer additional information about the visa entry for dependents. The company set up process is a simple one, however, depending on the activities they conduct, companies in Labuan will need to comply with the requirements set forth by the Labuan Financial Services Authority or other relevant authorities. Our agents can give you more details on these requirements. Conducting business through a company in Labuan is a preferred solution for many investors who need to conduct business in Asia. Moreover, Labuan is also a hub for sharia companies as the region is a hub for Islamic finance. Labuan is a tax-friendly region, in which companies can benefit from numerous tax exemptions. For example, a legal entity is not required to pay the goods and services tax (GST) for sales transactions and it also qualifies for an exemption on the withholding tax of dividends and interest. The corporate income tax rate for a Labuan company is differentiated according to the type of activity. In this sense, some business activities are favored, meaning that they are subject to a low tax or they are tax exempt. An investment holding company is subject to zero tax in Labuan while a company involved in trading activities is subject to a profit tax of 3% or 20,000 RMN. These values apply when the company trades on the ASEAN market; when the Labuan company trades on the Malaysian market the corporate income tax for trading activities is the usual 24% applicable throughout Malaysia. One of our Labuan company formation agents who specialize in taxation matters can give you more details about these differentiated taxation regimes according to the company’s activity. Companies set up in Labuan are not subject to a capital gains tax and the double tax treaties signed by Malaysia will generally also apply in case of Labuan companies. 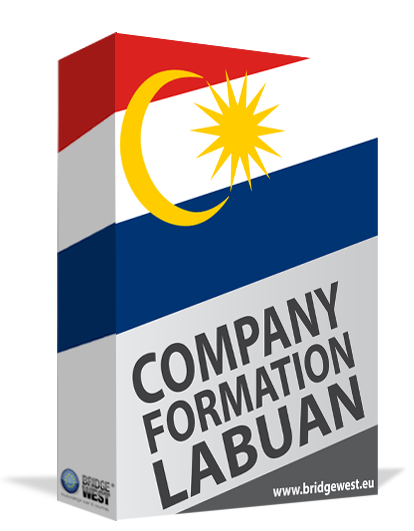 One of our Labuan company formation specialists can give you more details about the provisions of these treaties. It is also important to know that the Labuan company can have a corporate bank account opened in other regions of Malaysia. There are other benefits, including those referring to the visas the investors (and their families) have to obtain when relocating here for business purposes. Labuan is not only a tax-advantageous financial center but is also a preferred location for traders and investors because it offers easy access to other areas and markets. Entrepreneurs who open a company in Labuan are located fairly close to Hong Kong and China, Indonesia, India or Tokyo, all o these locations being of interest for many foreign investors. By setting up a company in Labuan, they can enjoy the advantages of being closely located to these important markets, with minimum corporate taxes and requirements for their business. Investors interested in further advice on the advantages of the Labuan business center can contact our team of specialists in company formation in Labuan for complete consultancy services.